"I'm bored!" If you're tired of saying this - or hearing it - come to Balboa Park. There's always something new to see, do, or discover here. Follow the stops below to find fun, food, and more perfect for the 12 and under crowd! All aboard for our first stop at the San Diego Model Railroad Museum. Miniature miles of railroad track are perfect for an awesome game of I-Spy. 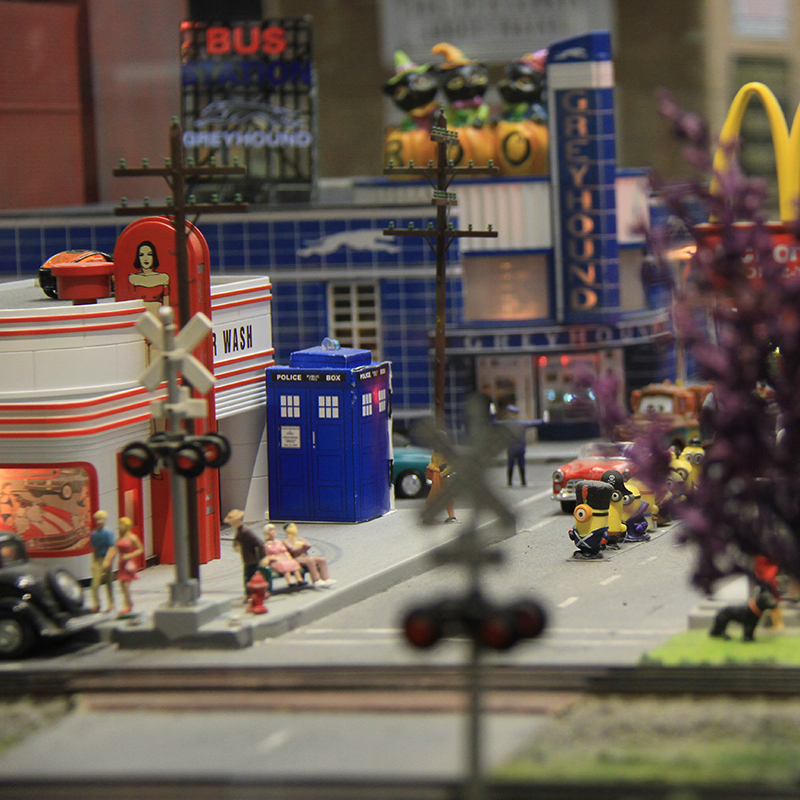 Can you find your favorite cartoon character in the Toy Train Gallery? As you walk down El Prado, stop in to see kids your age shine onstage with one of Balboa Park's many youth performance groups. San Diego Civic Dance Arts, San Diego Civic Youth Ballet, San Diego Junior Theatre, and San Diego Youth Symphony all call the Park home. If you dream of the stage and the spotlight, maybe you should sign up too! Find monsters, mummies, and more at the San Diego Museum of Man! Cross the walkway over the street to find the just-for-kids area, Adventure Kids in Egypt. 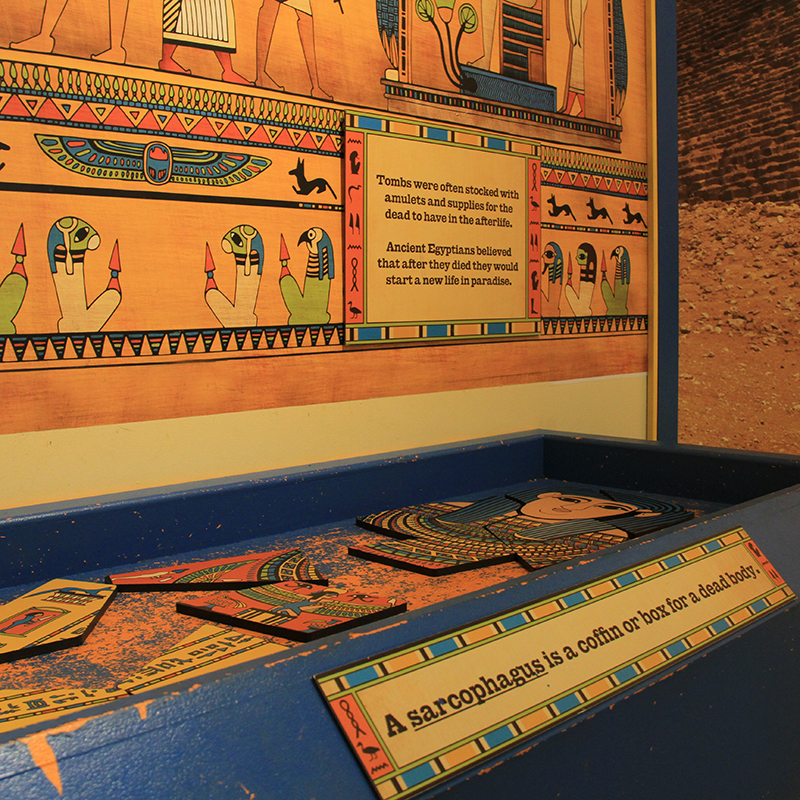 How fast can you put the sarcophagus puzzle together? 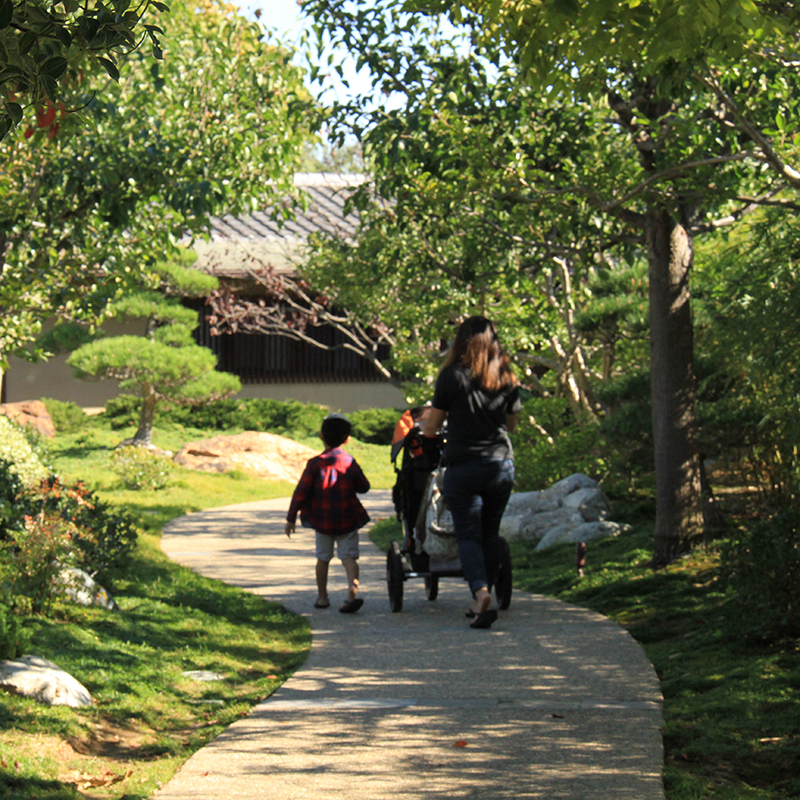 Next, stop by the Japanese Friendship Garden. Play games as you explore; go hi-tech by downloading the Haiku Hunt app or low-tech by inventing your own game like count the koi fish! 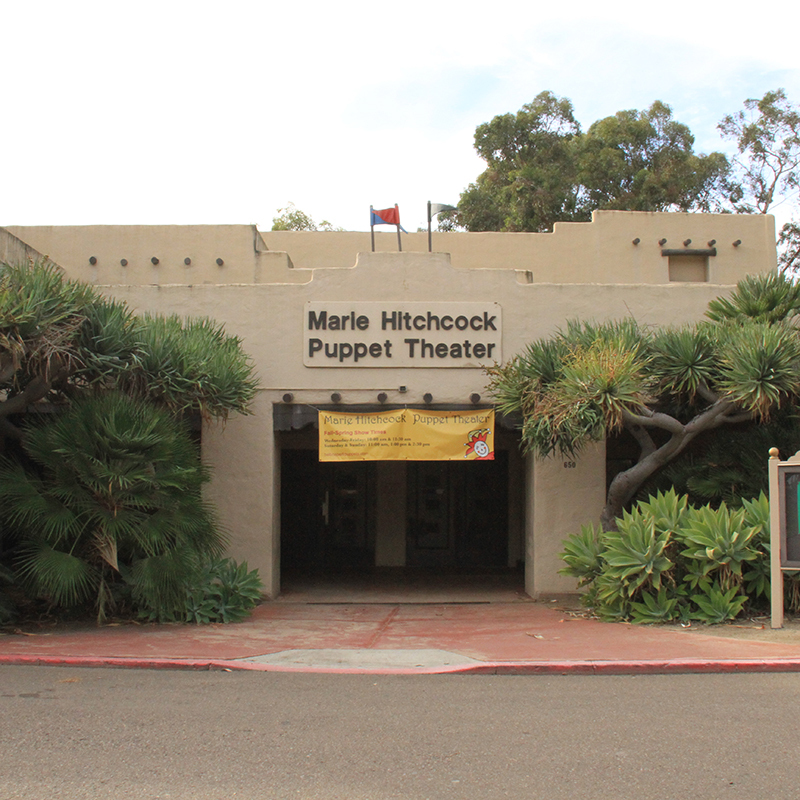 While Kermit, Elmo, and Pinocchio may be famous, you can catch local San Diego puppet stars most days at the Marie Hitchcock Puppet Theater. Stop in for performances sure to please audiences of all ages. Blast off at the San Diego Air and Space Museum. Play in the Kids' Aviation Action Hangar, ride the space simulators, see planes and rockets, and get inspired to reach for the stars! Grab lunch at the Air and Space Museum's Flight Path Cafe. 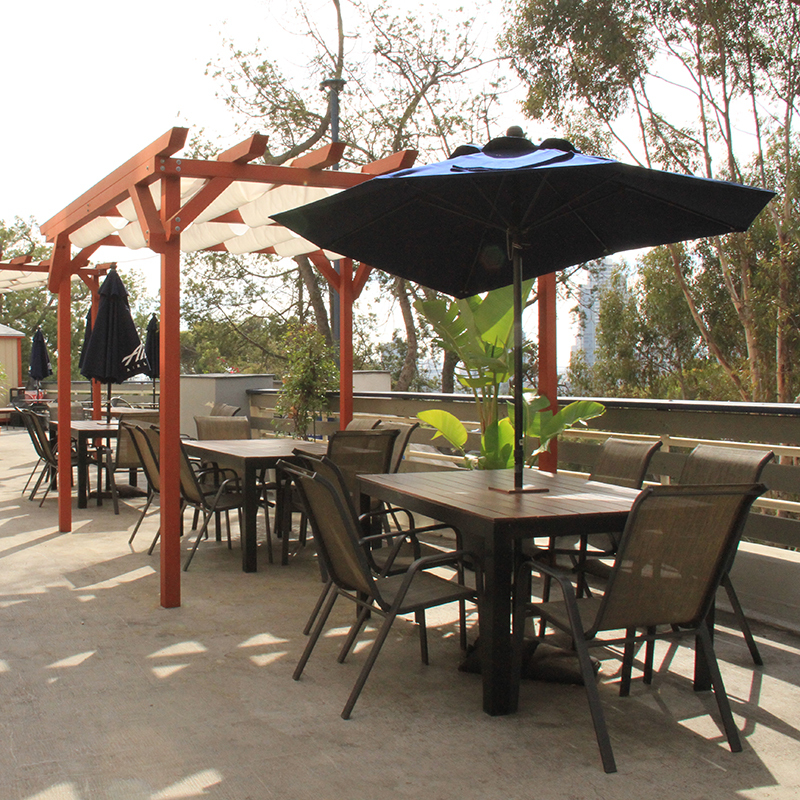 Sit on the patio and watch planes fly right over your head as they prepare for landing at San Diego International Airport. 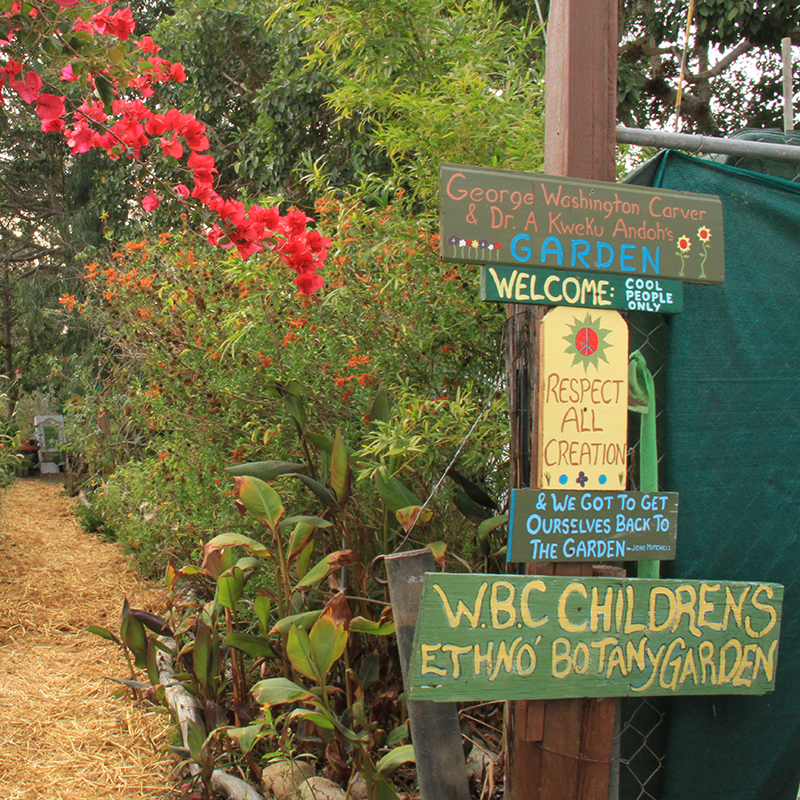 Get your hands dirty at the World Beat Cultural Center's EthnoBotany Children's Peace Garden. Learn about how the fruits, vegetables, herbs, and spices you eat every day journey from a seed to your plate. 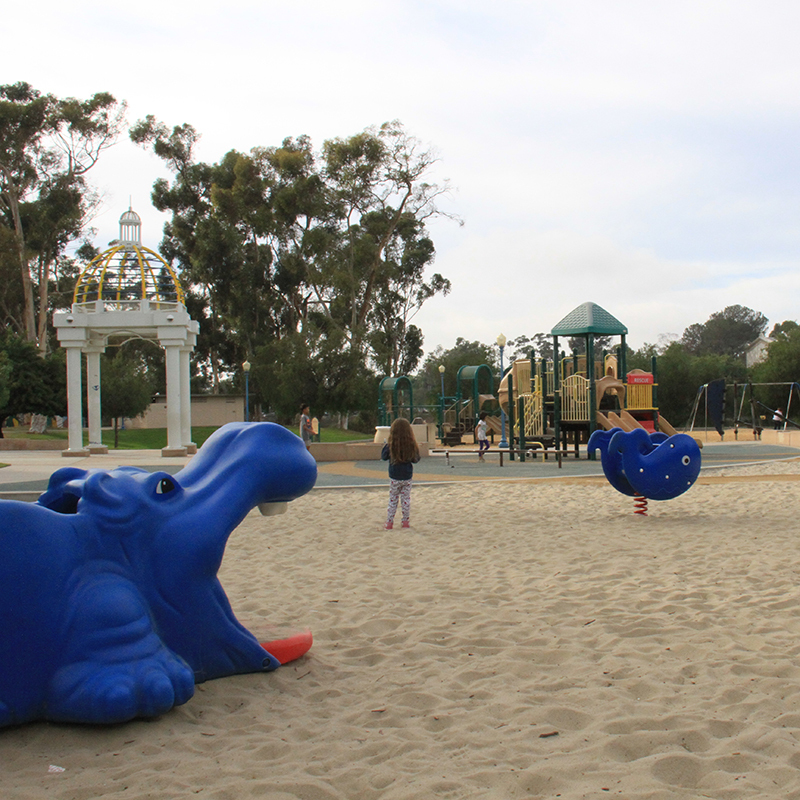 If you're still energized but your adult companions seem tired, stop by one of Balboa Park's awesome playgrounds. Enjoy slides, swings, and jungle gyms, while the adults relax on a shaded bench. Now take that energy indoors to the Fleet Science Center. 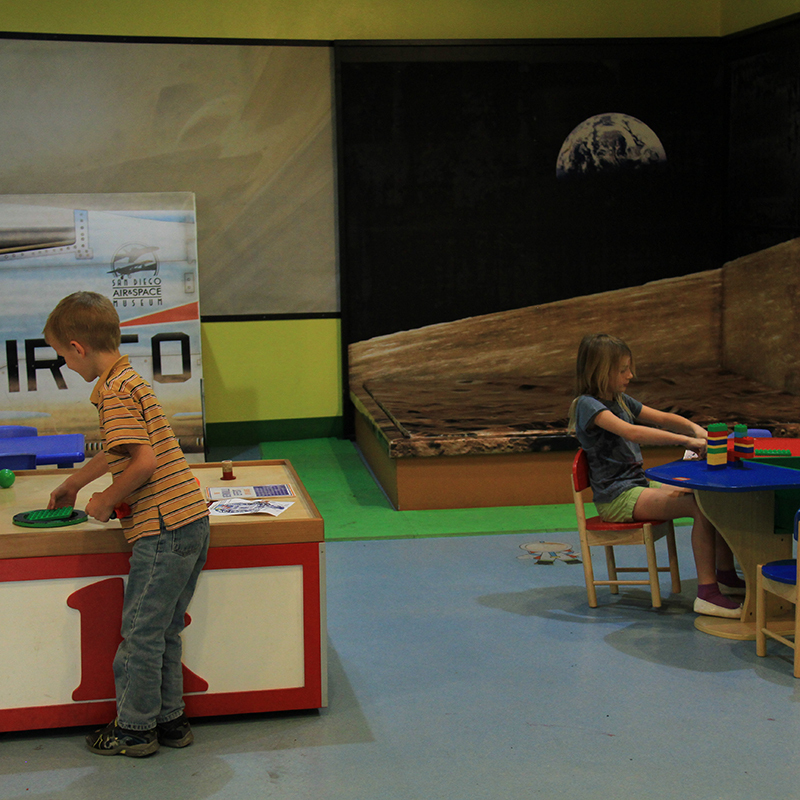 Build your own inventions at the Tinkering Studio, try and touch a tornado, or make a world of your own in Kid City! Time for a treat! 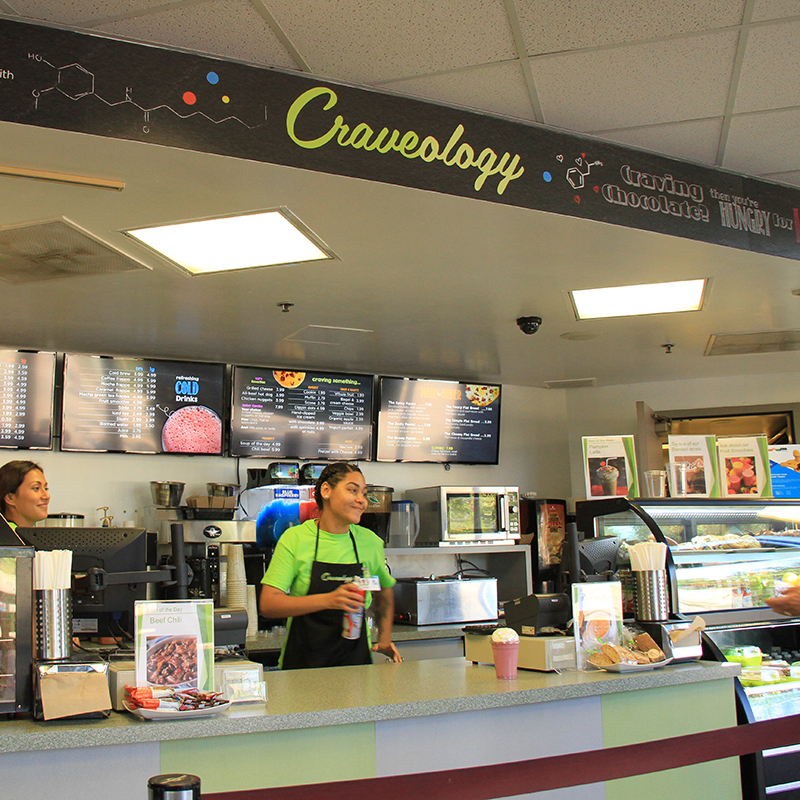 At the Fleet Science Center's Craveology you'll find the sandwiches, salads, smoothies and snacks to satisfy any craving. 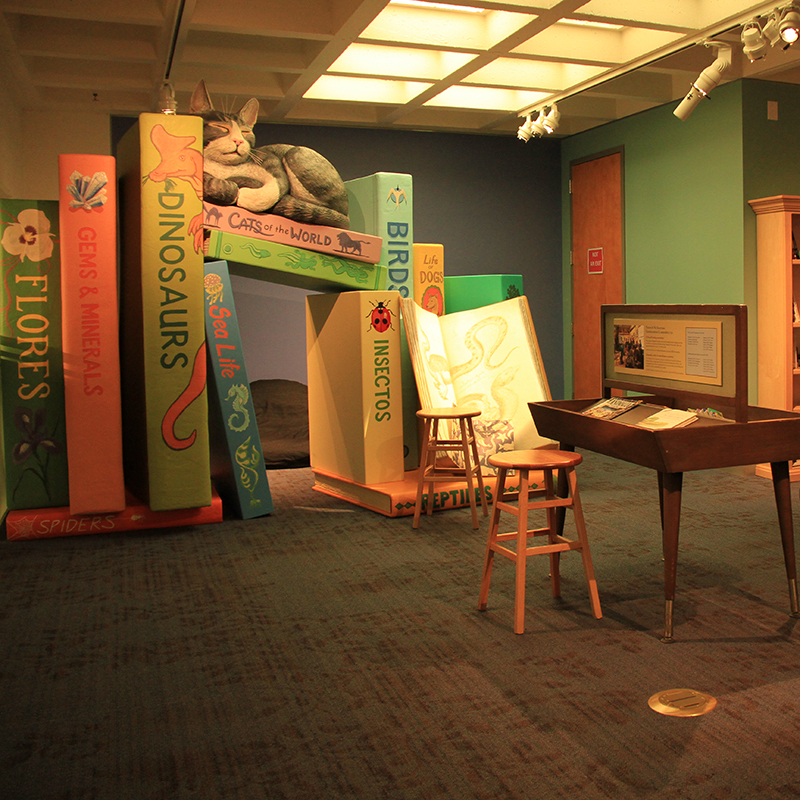 Let your imagination run wild at the San Diego Natural History Museum. 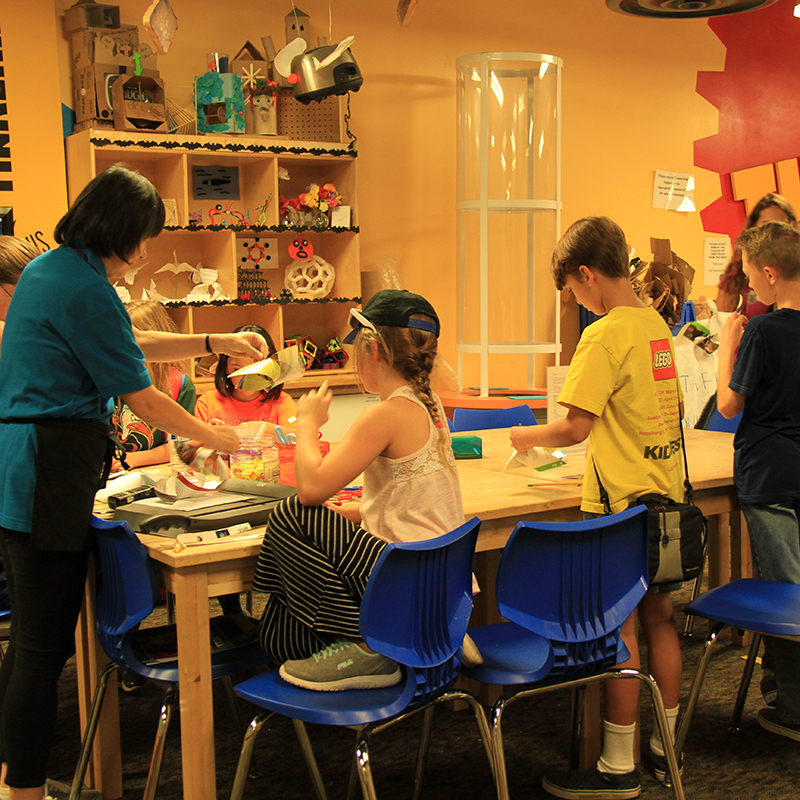 You can be a paleontologist on an expedition at Camp-O-Saurus or get lost in the world of a good book in the Extraordinary Ideas from Ordinary People reading nook. Did that bike ride tire everyone out? 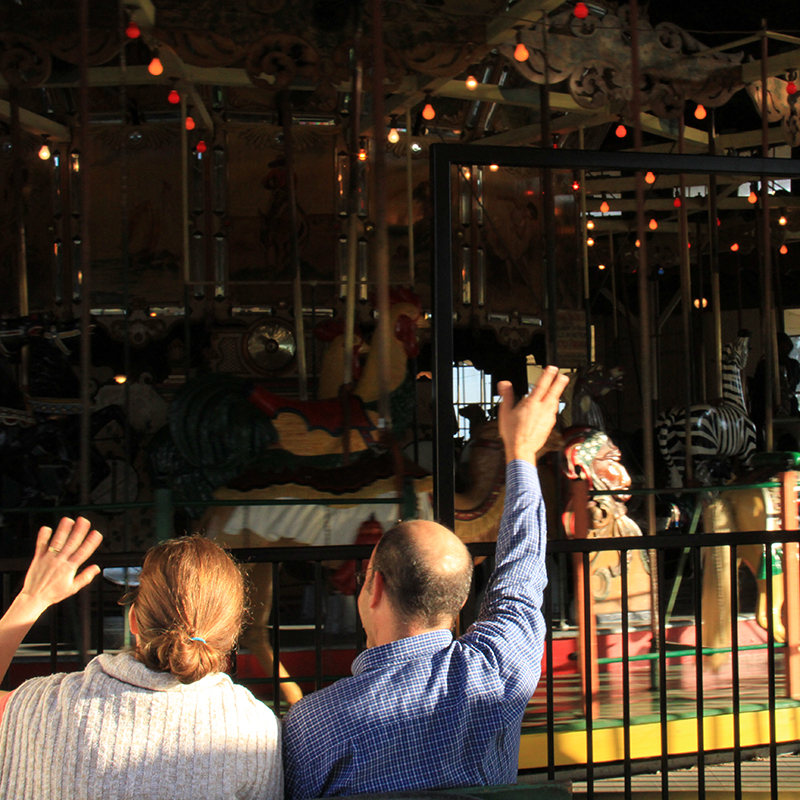 Time to rest your legs with a ride on the Balboa Park Carousel. Which of the animals is your favorite? Time to get back on the train for the last stop of the day. 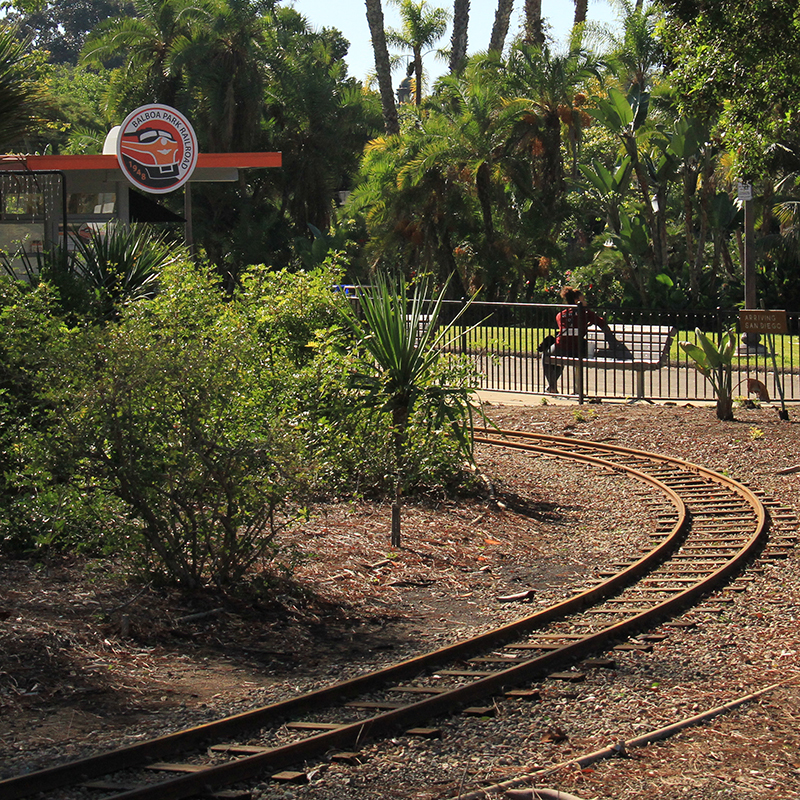 Over by the Zoo, you'll find the Balboa Park Miniature Railroad. 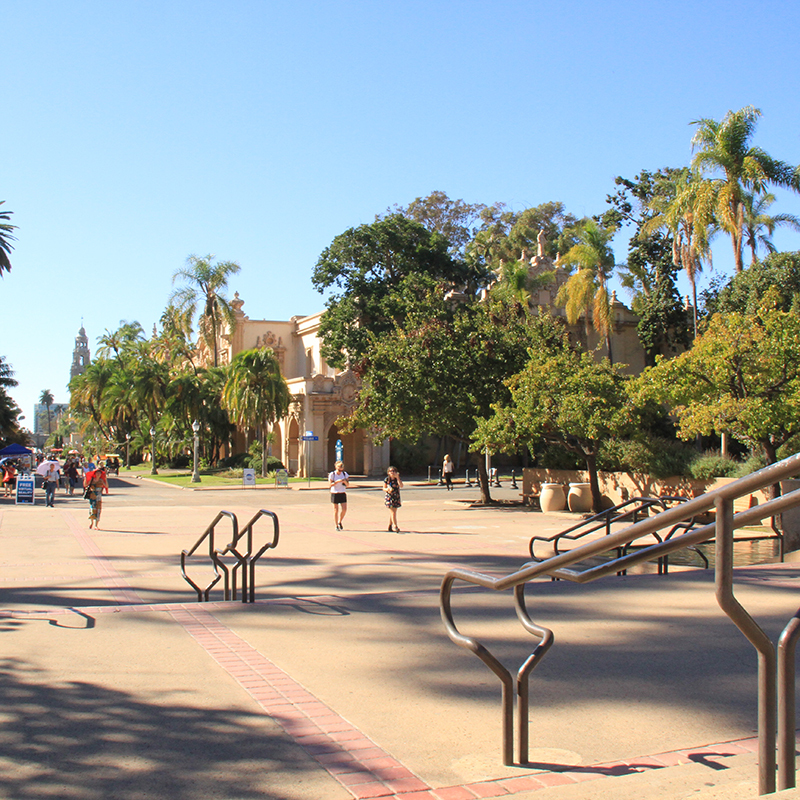 Enjoy a half-mile journey around beautiful Balboa Park grounds. Hope you had an awesome day in Balboa Park and banished your boredom. There's always something new for kids to do and see in the Park, so come back and visit again soon.